Airplanes prefer to land into the wind, and airports adjust for changing wind direction by changing the active runway. I've been flying a small plane in the pattern when the tower asked me to do a 180° turn to reverse the pattern. But at a large airport with traffic continuously coming-n-going, with fast moving jets that fly enormous patterns, how do they switch directions? It seems logistically complicated. It's not too logistically complicated on its own. You just stop takeoffs, start taxiing the conga line of waiting airplanes to the new runway, let airplanes currently on final land, and start vectoring the other airborne flights toward the new approaches once the last of takeoff traffic is away. Once the new landing flow is established, start releasing the takeoffs. This will require coordination between tower and approach and may involve the center if flights need to be put in holding during the transition (depends on how busy the airspace is). In certain busy airspace this may also require coordination with other nearby airports. With that said, some airports that take off and land on different runways can have impacts on arrival rates in different configurations, and this adds to the logistic complication. One example is KIAH, which in normal flow is taking off on the 15's and landing on the 26's and 27. It isn't too much trouble to switch landing traffic to the 8's and 9, but if takeoffs have to be switched to 33 then the flow rates are negatively impacted. It gets even worse if landing and takeoff traffic have to be put on the same runways. How the arrival and departure flows are impacted (if at all) from a runway switch will depend strongly on the specific geometry of the runways. Anecdotally, the logistic impact of reduced arrival and departure flow is probably the largest impact. At KIAH they will run their normal flow until the wind gets so bad that pilots start refusing clearances for tailwind limitations, and only then will they switch the departures to northbound. Similarly, as soon as the tailwind is legal, they'll switch back to southbound departures. If the destination airport needs to change runways, any plane already past the last holding point will (usually) be allowed to continue, but all new arrivals will be put in a hold. Once the last plane is down on the old runway(s), ATC starts releasing planes from the holds to continue on to the new runway(s). For a while, new arrivals will still get put in a hold while earlier ones are being released, but eventually the stacks empty out and planes are once again flying the entire arrival procedure without any holds along the way. These same holding patterns are also used when bad weather limits the arrival rate of the airport due to increased separation requirements. If that lasts long enough for the holding stacks to start getting full, other ATC units will start holding planes at points further and further away--possibly on the ground at their origin if needed--or even diverting them to other airports. The idea of an orderly airport directional reversal is appealing, and it probably happens if the wind direction changes slowly enough. However, once I was a passenger flying out of Chicago O'Hare (ORD) and was fifth or sixth in line to takeoff after maybe ten minutes of "waiting" (slowly taxiing) in a long line of aircraft. Suddenly the plane is braked to a full stop and the pilot announced—quite annoyed sounding—that the airport is being turned around and we will be taxiing around the airport for awhile, sorry for the inconvenience, we'll get you on your way soon, yadda, yadda, yadda. Not the answer you're looking for? 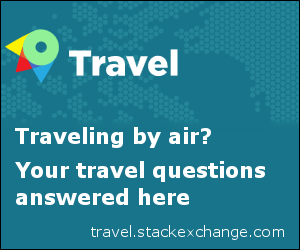 Browse other questions tagged airport wind or ask your own question. How are change-overs between regional air traffic patterns communicated? Has reversing the active runway direction ever led to lined-up aircraft taxiing to the other end of the runway? What criteria make an airport suitable for a technical stop for a large airliner? How do large airport refuelling systems work? How to get a home base airport in the UAE?